Legit reissues (via Universal) of these Swedish underground albums from the early 70s. "Solo debut recording from 1972 by this acclaimed Swedish psychedelic/progressive musician released on CD for the first time. Mikael previously played with Flasket Brinner and Steampacket. The recording of this album initially began in 1969, mostly in Mikaels own primitive studio , but was seriously delayed as Mikael was arrested and imprisoned for smoking hashish. While in jail he wrote the song 'Artificial Prana' which was featured on the album. Mikael does fantastic Swedish folky psych rock progressive music backed by members from legendary Swedish underground bands like Flasket Brinner, Kebnekajse and Turid. 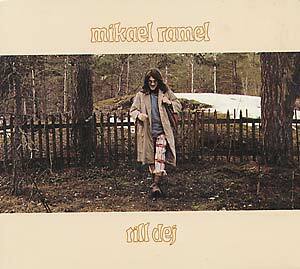 One of the best, most influential and appreciated recordings from the Swedish hippie underground. This beautiful CD release contains the full album perfectly re-mastered from the tapes + 7 exclusive bonus cuts and itâs housed in a digi-pack with informative liner notes in English."